Build up a strong defense for your castle on Defender 2 game! Protect your tower from waves of enemies, monsters, and other types of attackers. Cast spells against your opponents. You can burn them using a lava moat, repel monsters with a fatal blow, and more! Compete with other players, and win by defending your castle longer. Watch out for trespassers, but you have to keep a lookout for boss monsters too! Improve your defenses by strengthening your tower. Increase arrow damage, improve agility, and install new weapons for an even stronger defense system. Get a free gameplay guide for Defender II here, and learn new tips and tricks here! Enjoy the game on PC with a free Defender 2 download now. On Defender 2 PC, you will defend your tower and castle from dangerous monsters and vile creatures of the night. But watch out! Some may look tame, but you have to be careful for they could still be fast and very powerful in inflicting damage. Some monsters could be flying, and some of them could spew their powers from afar to weaken your base. So make sure your defenses are strong, and that you are quick to repel waves of enemies on every level. To kill enemies, just click on them from afar and your arrows will come down to hit them. You may also use a special power-up boost that can kill multiple enemies at once. Just click on the power-up icon on the lower right part of the screen and click on the area or group of enemies that you want to hit. As the game progresses, you will need to defend your castle from bigger and stronger monsters. Moreover, you cannot defeat them all without making your own weapons and defenses strong. And make sure you upgrade your weapons and tower constantly. If you have enough coins already, don’t waste time and upgrade your tools immediately. Every level will bring you new and more fatal monsters, a strong arrow and tower will help you survive levels more easily. 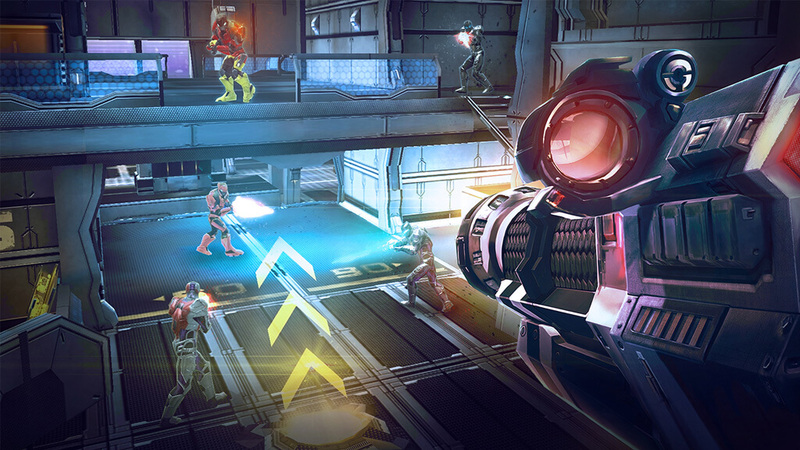 Players can enjoy Defender 2 in different modes. These are local and battle mode. Local Mode is basically story mode where players go against AI and complete levels to achieve or unlock more features in the game. Finally, Battle Mode is perfect for very competitive players. In Battle Mode, you can go against other players from different sides of the world. The player who survives the longest will win the round! On the game’s main page, you will see some trophies above the local or battle mode selection. These are achievements in the game that will yield you free mana and extra rewards once they are successfully accomplished. There is the Big Spender Reward, Monster Hunter, Defender, and many others. Accomplishing these will get you either extra Mana, fast Mana recovery, increased arrow damage, extra coins, XP points, and more! It is tempting to use your special power every now and then to eliminate enemies in one swoop. However, Mana needs a significant time to recharge. And using them too early in a match will weaken your chances once hordes of creatures will arrive at the later part of the level. So as much as possible, try to reserve your Mana for very difficult circumstances only. Just use them only in the middle or end part of the level. You can also improve Mana by either upgrading it using your hard-earned coins, or by accomplishing an achievement that will give you extra Mana, or those that grant you a faster recovery or recharge for such. Defend your castle from the onslaught by downloading Defender 2 free for PC! Check out Strategy Games that’ll keep your brain juices flowing, such as Bloons TD Battles and Army Men Strike!